Thảo luận trong 'ENGLISH' bắt đầu bởi Tim Fok, 10/8/18. Wooden Camera has announced a new formula for their popular top handles. The NATO handle Plus V2 and Top Handle V2 are low profile, reversible, cold shoe compatible with a solid 15mm rod mount. There are two new top handles from Wooden Camera. 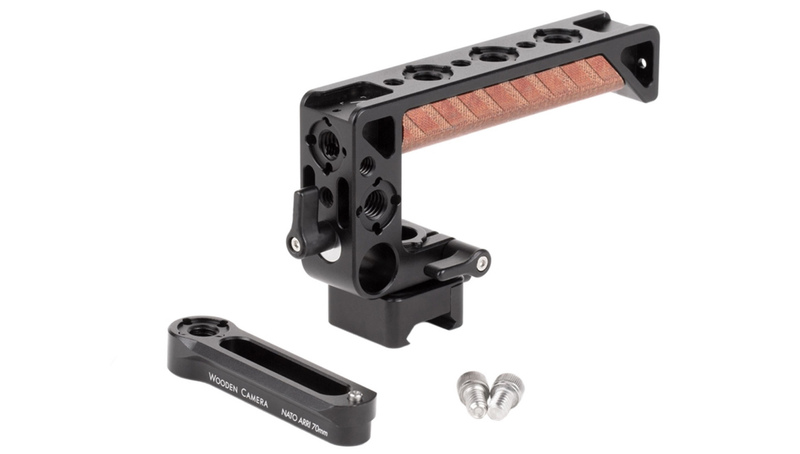 The NATO Handle Plus V2 is the flagship model, it has ARRI Standard accessory (anti-twist) points scattered around the sides, top and front, a wooden grip insert, front and rear low-profile cold show mounts as well as solid 15mm rod mount. I’m a fan of the latter mentioned, side-facing 15mm rod mount, adding a solid one of these to a camera for attaching monitors and other accessories can get a bit fiddly. The feature does already exist with others but should become more of a standard-issue. The NATO Handle Plus V2 also features a quick release reversible mount. 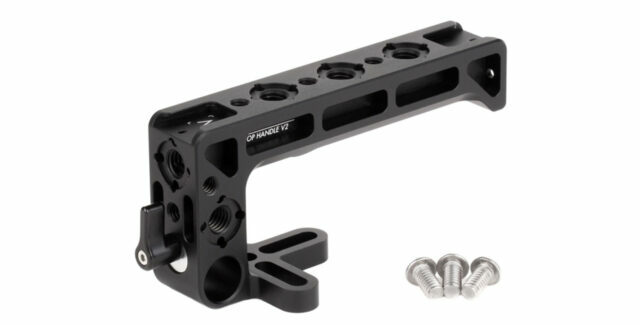 You can quickly turn the handle front to back, great for tweaking the centre of balance of the camera rig. 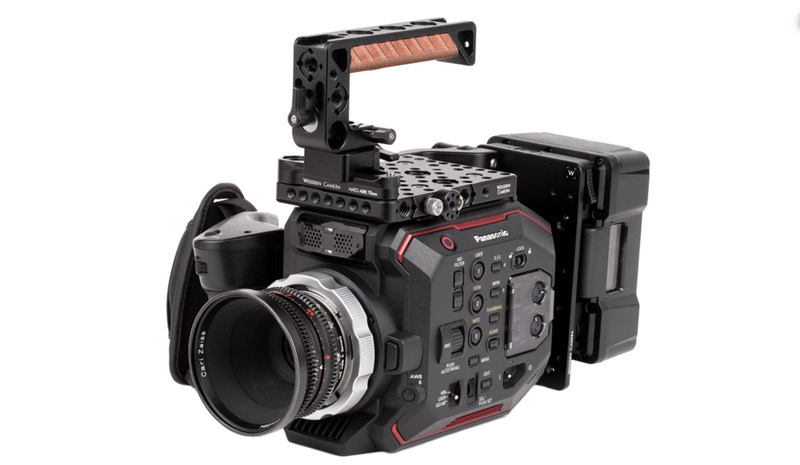 It can also change to 90-degree configuration, great for cameras like the URSA Mini where thread arrays are front to back. The Top Handle V2 is the lower profile version. This loses the NATO mount, meaning it sits closer to the body. Doing this means you can’t quickly remove the handle from the camera (a consideration for how you pack down your camera) you also can’t change the direction of the handle in a hurry. Both items are ready to ship, prices below. 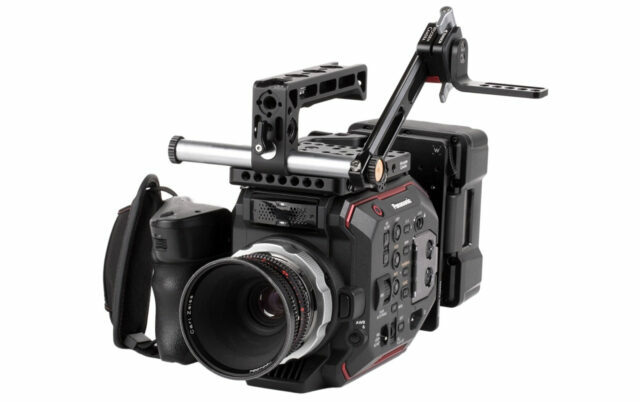 The post Wooden Camera Improve Top Handle Design with NATO Handle Plus V2 appeared first on cinema5D.